The much anticipated House of Commons report into the Evidence Check on Homeopathy has now been published and it may well be the report that changes the face of homeopathy in the UK. But more than that, its implications will also be felt around the world. By providing homeopathy on the NHS and allowing MHRA licensing of products which subsequently appear on pharmacy shelves, the Government runs the risk of endorsing homeopathy as an efficacious system of medicine. To maintain patient trust, choice and safety, the Government should not endorse the use of placebo treatments, including homeopathy. Homeopathy should not be funded on the NHS and the MHRA should stop licensing homeopathic products. The Evidence Check was called to look at the evidence base that has influenced government policy regarding homeopathy. The policy areas focussed on two main issues: the specific funding of homeopathy centres within the NHS and the regulation and labelling of homeopathic products. MPs called for submissions from interested parties about the nature of evidence and how it was influencing policy. Both areas have come under intense criticism from the MPs. Of course, the central question of evidence into the policy concerning such areas must be the evidence of the effectiveness of homeopathic treatment. The evidence submitted by homeopaths was a complete ragbag, ranging from the selective, the misleading, the irrelevant to the bizarre. "It is unacceptable for the MHRA to license placebo products—in this case sugar pills—conferring upon them some of the status of medicines." As such, homeopathy will be under more pressure than it could have conceived possible. It may not be that this government acts on this report – elections are looming – but that is not important. Within PCTs, the NHS will start rethinking and no doubt start unwinding provision for it. There will be a ratchet effect. Bit by bit, funding will stop, never to return. West Kent PCT has done so. The likes of Liverpool, Glasgow, Bristol and London will surely follow. The Medicines Regulator will be under strong pressure to review its stance as it is clearly complicit in misleading the public with how it allows homeopathic products to be labelled. So, what does the report conclude? Our expectations of the evidence base relevant to government policies on the provision of homeopathy are straightforward. We would expect the Government to have a view on the efficacy of homeopathy so as to inform its policy on the NHS funding and provision of homeopathy. Such a view should be based on the best available evidence, that is, rigorous randomised controlled trials and meta-analyses and systematic reviews of RCTs. If the effects of homeopathy can be primarily attributed to the placebo effect, we would expect the Government to have a view on the ethics of prescribing placebos. Water memory and the dilution problem are rejected outright. Furthermore, calls for more research into the hypothesis are questioned, "Research funding is limited and highly competitive. The Government should continue its policy of funding the highest quality applications for important scientific research determined on the basis of peer review." They leave the decision to government funding to be settled by the chief scientists. We recommend that the Government Chief Scientific Adviser and Professor Harper, Chief Scientist at the DH, get together to see if they can reach an agreed position on the question of whether there is any merit in research funding being directed towards the claimed modes of action of homeopathy. On the question of clinical evidence, the MPs assess the overall conclusions of the best reviews and conclude simply: "In our view, the systematic reviews and meta-analyses conclusively demonstrate that homeopathic products perform no better than placebos." However, the Chief Scientist at the Department of Health came under particular criticism for being equivocal about the evidence and appearing to suggest that there was a “lack of agreement between experts working in the field”. The MPs could find no evidence of such a lack of agreement. And so, again, the MPs ask the Chief Scientists to get together and form an opinion as to whether there is any real controversy here. We regret that advocates of homeopathy, including in their submissions to our inquiry, choose to rely on, and promulgate, selective approaches to the treatment of the evidence base as this risks confusing or misleading the public, the media and policy- makers. It is also unethical to enter patients into trials to answer questions that have been settled already. Given the different position on this important question between the Minister and his Chief Scientist, we recommend that the Government Chief Scientific Adviser, Professor John Beddington, investigate whether ministers are receiving effective advice and publish his own advice on this question. We do not doubt that homeopathy makes some patients feel better. However, patient satisfaction can occur through a placebo effect alone and therefore does not prove the efficacy of homeopathic interventions. We recommend that the Department of Health circulate NHS West Kent’s review of the commissioning of homeopathy to those PCTs with homeopathic hospitals within their areas. It should recommend that they also conduct reviews as a matter of urgency, to determine whether spending money on homeopathy is cost effective in the context of competing priorities. Given that it is almost certain that homeopathy is nothing but a placebo, should doctors still be allowed to prescribe it? There are feelings that a placebo may well help some patients. However, the MPs again were very straightforward here in their conclusions about prescribing placebos: "When doctors prescribe placebos, they risk damaging the trust that exists between them and their patients." This thinking is extended to the new concept of ‘personal health budgets’ that are being trialed at the moment: "We recommend that if personal health budgets proceed beyond the pilot stage the Government should not allow patients to buy non-evidence-based treatments such as homeopathy with public money." And quite critically, the MPs recognised that NHS funding of homeopathy could harm people by appearing to endorse nonsensical treatments. They noted that most people do not understand what homeopathy is – thinking it is a ‘herbal’ treatment. When the NHS funds homeopathy, it endorses it. Since the NHS Constitution explicitly gives people the right to expect that decisions on the funding of drugs and treatments are made “following a proper consideration of the evidence”, patients may reasonably form the view that homeopathy is an evidence-based treatment. The overall conclusion must be the bleakest conclusion for the supporters of homeopaths in the UK. 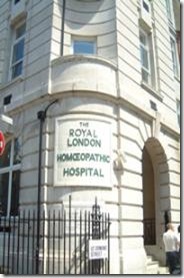 The Royal London Homeopathic Hospital is probably the most famous state funded homeopathy clinic in the world. Its closure will be a bitter blow to all supporters of this quackery. However, it will be a very good thing to all those subjected to quack medicine in India and Africa where homeopaths use the UK state funding of homeopathy as an endorsement for their own dangerous policies and practices. This is a good day for the health of the poor and exploited. We are concerned that homeopathic products were, and continued to be, exempted from the requirement for evidence of efficacy and have been allowed to continue holding Product Licences of Right. We recommend that no PLRs for homeopathic products are renewed beyond 2013. This will send shock waves through the manufacturers of sugar pills. My guess is that this is a far more deeply reaching conclusion that they were expecting. The absence of a requirement to show evidence of efficacy means that the MHRA’s current arrangements would allow a person to seek, for example, a licence for a confectionary product as long as he or she persuaded a number of people that it was a homeopathic product with therapeutic effects. Such a development would, rightly, bring the licensing arrangements into disrepute. We are concerned that the lack of rigour in the MHRA’s licensing processes by, for example, allowing the use of provings is allowing homeopathic products to build medical claims unsupported by any evidence. We conclude that the MHRA should seek evidence of efficacy to the same standard for all the products examined for licensing which make medical claims and we recommend that the MHRA remove all references to homeopathic provings from its guidance other than to make it clear that they are not evidence of efficacy. The testing of the publics’ understanding of the labeling of homeopathic products was found to be ‘flawed’ "the MHRA’s testing of the public’s understanding of the labelling of homeopathic products is defective." If the MHRA is to continue to regulate the labelling of homeopathic products, which we do not support, we recommend that the tests are redesigned to ensure and demonstrate through user testing that participants clearly understand that the products contain no active ingredients and are unsupported by evidence of efficacy, and the labelling should not mention symptoms, unless the same standard of evidence of efficacy used to assess conventional medicines has been met. The role of pharmacists in selling these products was questioned. Although it goes wider than the scope of this Evidence Check inquiry we must put on record our concern about the length of time the RPSGB appears to be taking to investigate and reach conclusions on cases where it has been alleged that its guidelines on the sale of homeopathic products have been breached. We recommend that the Government enquires into whether the RPSGB, and from the 2010 handover, the General Pharmaceutical Council, is doing an adequate job in respect of the time taken to pursue complaints. This will indeed be the bleakest day for homeopathy. A great summary for the lay person. Thanks. A thorough appraisal of a damming report. What? You didn’t notice “confectionary”? This is an amazing report. Far more damning than I’d expected from a government committee. Kudos to all who contributed. But will it have any useful effect? This select committee report makes me very happy. Let’s hope they act on it! Good summary of the important conclusions of the report. This post was written during the embargo period as I was sent a copy prior to publication – I was not aware of any online sources at the time of writing. I felt it useful that other people could see the main summary points before the report was widely distributed. I have not gone back yet to link to any primary sources, but I see you posted a link. Regrettably the waste of countless millions of taxpayer pounds through 25-30% use of private ISCATS (1)seems less troublesome than removing fluffy choice of treatments not yet proven to be harmful to mammals nor plants. You could do even better yet! Actually, once homeopathy were to finally croak, what would you be left to get incensed about? The way I see this is very simple Dr Sikorski. If society and its government cannot sort out an obvious nonsense like homeopathy then it really has no hope with much more substantial issues. Homeopathy is really a pons asinorum for the parliament evidence check. Failure to cross that bridge would make total asses of them. They have made it due to the efforts of a small band of sane MPs. b) they perpetuate the idea that it doesn’t matter who suffers as long as humans get some benefit, although in the case of homeopathy, of course, there is no benefit to be had. So it is mentally and ethically harmful to humans as well – it reinforces bad thinking AND bad behaviour. so what would you get incensed about? I personally get incensed at any evidence-free twaddle that is peddled as reality to the detriment of the unwary. Homeopathy is merely one such bucket of piffle. Its absence, while a very positive thing, would still leave hundreds of other pifflebuckets to be dealt with. Homeopathy and its ilk are not the problem in themselves, other than that they are symptomatic of a deeper issue, and that is the propensity of people to (easily) fall victim to magical thinking. If people would learn to think critically as a matter of course then homeopathy, chiropractic, reiki etc would take care of themselves. Oh, I get it! Sceptics are really just grumpy cynics just looking for things to complain about – and homeopaths are just providing a service for them to target. Okay, yep. I see what you’re saying. Okay then, I vote we keep homeopathy around so we don’t have to find a new hobby. I don’t really like stamps. 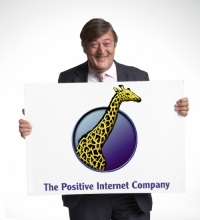 Just posted this on facebook and chose the icon of “Powered by positive” that’s in your left-hand sidebar… a good summary for Homeopathy! Regarding effective use of taxpayers’ money- ISCATS are wasting enourmous amounts of our cash(1)- don’t get hot under your collars about these unpiloted, unresearched, evidence free ideas which use your money to line someone’s pockets without having the inconvenience of treating patients now- keep picking on Homeopathy. Have you taken a minute to consider the cost to the NHS of treating those patients who have had apparent benefit from homeopathy- Mate- it’ll be much much more expensive, but hey that’s not the point is it? No. You are right. it is not the point. The report is quite clear that we do not know how much it costs to treat patients with homeopathy and that the government should report on this. Without this figure, it is not possible to make any such comment. And given that patients are only receiving a placebo, the cost-benefit analysis is unlikely to come out favourably. This is again discussed in the report. The homeopathic pills are taken quite frequently – 5 times a day according to one URL. If these are taken with at least a half-full or half-empty glass of water, would the intake of the extra water have a real biologically positive effect, previously concealed in the placebo effect. Perhaps the homeopathic remedies should instruct the pills be taken with a decent amount of water. For best results a little woo that the water re-activates the magic energy would both increase hydration and boost the placebo effect. Just a personal observation that I require, even crave, more water during a cold or fever. I really don’t think the ‘cost’ of homeopathy is the real issue to those against homeopathy. I have heard figures such as £4 million per annum but that does not take into account the fact that the vast majority of these homeopathic patients are TEETH patients (tried everything else , try homeoeopathy) and will take up far more expensive resources elsewhere anyway. The objection to homeoepathy is essentially doctrinal. The fact that these people have paid their own taxes and made a choice is lost on them. It is all very Stalinist. Scientists think they know best and want to make choices for us when they think we are wrong / deluded. Oh, really! Stalinist! get serious! Stewart McOwan, with regard to homeopathy scientist do know best. Actually most non-scientists know it too. If you dilute something enough with water what you are left with is water. If you then impregnate a sugar pill with that water what you have is a sugar pill. It’s that simple. But the public won’t pay good money for it unless you lie about it and pretend it’s something other than what it is. Claims for the efficacy of homeopathy are no more or less credible than claims for crossing the path of a black cat or not treading on the cracks in paving stones. All homeopathic claims are accounted for by other confounding factors, most commonly that the ailment is self-limiting and would get better by itself. As regards non-self-limiting conditions homeopathy’s record over the last 200 years precisely zero. Homeopathy is medical fraud and to charge money for it makes it financial fraud. PV, you are simply confirming what I stated above. People shouldn’t be allowed to make their own choices or mistakes in your desired version of the Universe. It would be fine by me if scientists wanted to wave placards outside the homeopathic hospital stating that water doesn’t seem to have a ‘memory’ beyond the tiniest fraction of a second. It is their right. They are free to educate and pick holes in apparent nonsense. However, not to allow people what they ask for after contributing handsomely to the public purse is not acceptable in a modern liberal society. So, if I understand you correctly, if I pay taxes the government should fund anything I want them to fund? I’ve paid my taxes too – and I would like to choose to have my Old Empire IPA paid for by the NHS. To refuse my request would be Stalinist. People still have choice on the NHS – it is just that the options available might soon be reduced by one (and rightly so). People will also, of course, still be able to make the decision to choose homeopathy and pay for it themselves. I could also turn this question around and ask: why should my taxes be spent on NHS provision of magic sugar pills? Re James Cole’s message and why should his taxes should be spent on homeopathy, I have already explained why this whole tack is a diversionary and dishonest tactic. See my message posted after lunch. The NHS spends a very significant proportion of GDP (approx 10%, I believe) and much is squandered despite the admirable dedication of most of its staff. £4 million quid on homeopathy is peanuts in comparison. It is about 5p per person a year. If the treatment was useless there would not be such a long waiting list. Firstly, the MPs cover the issue of choice and argue that misinformed choice is not real choice. Secondly, even if people continue to want homeopathy after being told that they are receiving a placebo treatment does not mean that a public body should fund it. The NHS has a responsibility to spend its money in the most effective way possible as this will create the best health outcomes for the tax payers as a whole. I may wish my bins to be empties on a Tuesday – it works better for me – but my choice here should be ignored and quite rightly. A tax funded system that makes decisions on individual whims and fancies would soon crash and burn. £4 million on homeopathy is £4 million wasted. But a much greater waste is surely the £42 million the NHS squanders to fund hospital chaplains! Your bin analogy doesn’t stand up as this is not an ‘individual whim or fancy’. Many tens of thousands of people are catered for homeopathically on the NHS and you are going to aggrieve them by removing their choice of treatment. I personally believe that the majority of MPs, certainly most of the Conservative ones will realise that it is political folly to remove choice. There is no need for ‘one size fits all’ even in the State sector. If you prefer that way of doing things perhaps the ‘Democratic Republic’ of North Korea would be a super place for you to move to. Stalinist….North Korea…….am I seeing a pattern here? I cannot believe you cannot see how bankrupt your idea is. So, if anyone offers any sort of treatment without a shred of evidence that it is effective but convinces enough people to take the treatment anyway, it should automatically be covered by the NHS? Are you really saying that? Of course, it is a falacy to suggest critics of homeopathy are wanting a ‘one size fits’ all approach to health. There will still be plenty of choice in all sorts of areas, but, again in all areas, those choices ought to be between effective treatments. Research has shown that most referrals to the homeopathic hospitals are initiated by the patients. They will still have the choice to use homeopathy, but they will have to go to a cranky health food shop instead. That is fine. Choice is important in the NHS but so is ensuring we have good outcomes. I am not sure many sane people will elevate choice over effectiveness at the end of the day when they are presented with the facts. I refer to the recent reports on homeopathy. If homeopathic medicines are “Placebos” and do not cause ill effects what is the harm in prescribing this medicine and more so when patients feel better. When live or attenuated virus/bacteria are injected our body develops immunity and we have protection against the disease. This is the principle behind homeopathy. It is well known that a minute quantity of LSD a psychotropic drug weighing only 1/200.000th of an ounce can cause incredible reactions in the Human Brain. Pure penicillin is efficient in unbelievable dilution of one part in 50 million parts of water. Many of the complementary medical practices may not have evidence like modern evidence. , but do benefit the ill and indisposed like Yoga, ayurveda, massage, chiropractic, Tai-chi, acupuncture.. All of them are part of modern medical practice… Big hospitals and clinics increasingly offer alternative therapies. Many just offer stress reducers like meditation, yoga and massage. The giant health insurance company of USA, HMO Kaiser Permanente pays for members to go to a Portland, Ore., doctor who prescribes ayurvedic – traditional herbal remedies from India. If people get relief from simple remedies why deny them. The end point of all treatment is patient relief from pain and disease. Unfortunately, it is not possible to know which 50% will benefit. In other words, you have to give the medicine to everyone for the 50% to benefit. When it’s prescribed for conditions that will respond to real medicine. When it’s prescribed instead of vaccines that actually work. When the daignosis is unknown and the patient suffers form a fatal condition for which a conventional treatment could have saved his life. When you lie to the patient by telling him that it works better than placebo. When you make up nonsense about how it works and confuse the publis abotu genuine science. It is an entirely different mechanism altogether. For a start, there is an optimal dilution of a vaccine at which it works most effectively and diluting it further would gradually negate its effect. With homoeopathy, the more dilute the greater the effect (presumably). Secondly, most homoeopathic treatments are diluted beyond Avagadro’s number, meaning there is actually no active ingredient in there at all. A typical homoeopathic preparation is diluted 1 part in a million million million million parts of water! People are very quick to forget that homeopathy on the NHS was in decline anyway before the evidence check. Many PCTs currently will not fund referrals to homeopathic hospitals. This is a trend that is likely to continue. Efforts to improve commissioning will drive this. The homeopathic hospital being part of the NHS is an accident of history. I’m crossing my fingers for you that the Government actually understands and implements this sound advice. THERE YA GO! This illustrates why the article recommends that the Government stop funding this fraud… the funding itself, however small, is used by the fraudsters to make the junk seem legitimate. Any official or semi-official approval will be exploited like an endorsement, a replacement for scientific truth.